All-purpose work jacket designed to coordinate with the Function Universal Safety Pants. 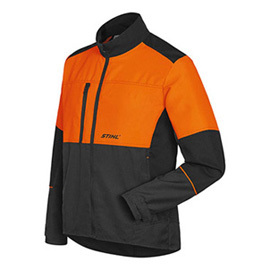 The Function Basic jacket features a large surface of high-visibility material for added safety, and is equipped with a zippered chest pocket as well as two waist pockets. The elbow, shoulder and collar are reinforced with abrasion resistant material. The Function Universal Jacket is conveniently machine washable.